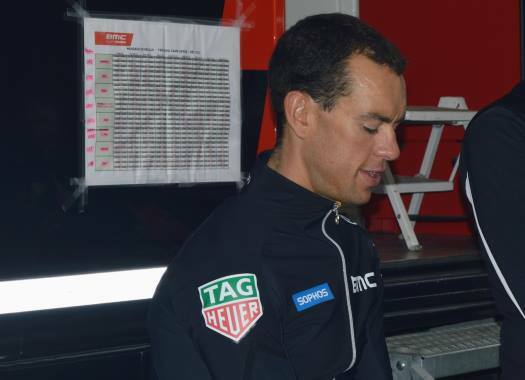 Richie Porte (BMC Racing Team) lost 51 seconds on the first stage at the Vuelta a España. The rider stands at the 97 position of the General Classification. The Australian started as one of the main candidates for the 73rd edition of the Spanish grand tour. "I think the lead up to a Grand Tour is always a little stressful and mine definitely hasn't been ideal so I am just glad to start the race really," he commented. "It was a pretty straightforward course with a couple of corners where you had to be a little more careful and it was a little bit slippery as there is obviously a lot of traffic on these roads normally. The climb wasn't much to worry about either." Porte lost 51 seconds on the first day, more than most of the other GC contenders, but he believes this is going to improve. "I didn't feel great today but I knew that I wasn't coming into the race in my best form. The Tour de France was bitterly disappointing and it's not been a straightforward run in for me but I look forward to building on my form especially for the UCI World Championships over the next three weeks. "I know I am going to take a bit of a kicking over the first two weeks but I think I should be better in the last week. Mentally, it was hard to get over the crash in July and it wasn't easy to restart or find my momentum but I have still done some good training. I am definitely not as good as I was at the Tour but hopefully, by the end, I can be in good shape. I would love to be able to take a stage win in the final week. It looks really hard on paper and that's my big motivation." Have you always wanted to write about cycling? Click HERE to contact us!